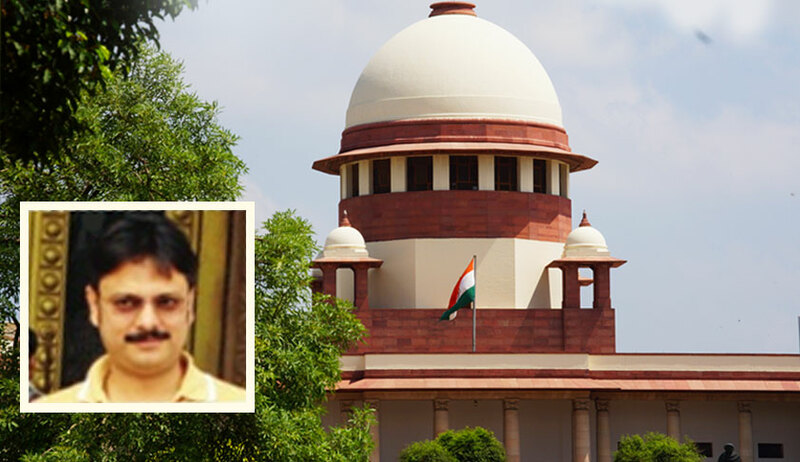 The Supreme Court on Wednesday vacated its earlier interim order according blanket protection to Enforcement Directorate Officer Rajeshwar Singh against an inquiry, giving liberty to the Centre to decide if he shall proceed with investigation into the 2G scam and Aircel-Maxis matters. A vacation bench of Justice Arun Mishra and Justice Sanjay Kishan Kaul was hearing a PIL instituted by one Rajneesh Kapur to examine the alleged amassing of disproportionate assets by Singh. BJP leader Subramanian Swamy, being the principal petitioner in the 2G matter, has sought intervention in the present petition. Besides, Singh has also moved a contempt plea against Kapur in the light of the March 12 order of the apex court setting a six-month deadline for the completion of the investigation into the 2G scam and connected matters. On November 1, 2017, a bench of Justice J Chelameswar and Justice Abdul Nazeer had restrained the Centre from initiating any action against Singh: “...Having regard to the nature of the allegations in the IA and earlier orders of this court, pending further orders, we deem it appropriate that no action be initiated against the applicant herein by anyone of the authorities”. In pursuance of the bench’s direction of Tuesday, Kapur appeared through an advocate on Wednesday. “My case is that the seniormost officer of the investigative agency has crossed all limits of propriety and integrity and has gone rogue...I am an investigative journalist associated with the Kaalchakra...we have exposed the Jain Hawala Case [Vineet Narain v. UOI (1997)]...,” the counsel for the petitioner submitted. “I also want protection...ever since I filed this petition on June 5, I have been gravely threatened...Respondent no. 3 (in the writ petition; Singh) has carried out 23 recorded encounters and several unrecorded ones...I will file an application which will appeal this court to take notice...it will show the impunity with which this officer works and the disregard of the authority of the court...,” he continued. “Why can the government not look into these allegations and act,” asked the bench. “There is protection of this court... (he indicated the order of November 1, 2017)...the clout of this officer is so big...he has Dr. Swamy’s assurance...,” the counsel replied. Visibly unimpressed by the last submission, the bench directed that he refrain from leveling personal claims as to who is the proxy for whom and to confine his arguments to the blanket order of protection. At this point, ASG Vikramjit Banerjee intervened, saying, “We want to act but the court’s orders come in the way...” He also handed over for the perusal of the bench sensitive information pertaining to Singh, which he described as concerning national security. As the bench read through its contents, Senior Counsel RS Suri, appearing on behalf of Singh, raised doubts regarding the maintainability of the PIL. “Whether this PIL was filed or not, our order regarding the six-month deadline continues to be there...the matter is highly sensitive from the country’s point of view...the contents of this document cannot be revealed into public domain right now...it may hurt your client only...the nation’s security is involved...we cannot shut our eyes to this...,” observed the bench. In context of the maintainability, Suri relied on the judgment in Rajeshwar Singh v. Subrata Roy Sahara [(2014) 14 SCC 257]. “This investigation is also court-monitored...Your Lordships may ask my client to address the issues in camera...,” stated Suri, handing over another document that he requested be read in the same confidence. “We are not making any adverse comments right now...but we cannot leave the matter as it is and tie the hands of the government,” asserted the bench. “One, when there is an allegation, whether right or wrong, it has to be looked into; two, you must not be victimised; and three, whether you can continue investigating when there is a probe against you...but you are only an officer...regardless of whether you have been appointed by the court or the government, you have to be accountable and cannot be given blanket protection...,” summarised the bench. “Is it not strange that the PIL has been filed without any material,” advanced Suri. “The PIL does not trouble us...we have dealt with the 2G matter and we never thought of this even in our imagination...now this material has come and it has to be looked into...,” responded the bench. “Things escalated once he filed the charge sheet and now that he has to file the supplementary charge sheet...,” Suri persisted. “At the appropriate time, we shall place everything on record...right now we are looking at the order and this material...Dr. Swamy also wants the investigation to be completed...there is nothing adversarial here...this case has serious repercussions...,” asserted the bench. In his turn, Swamy contended that he does not know who the status report tendered to the bench has been signed by, but to ascertain if the same is motivated or well founded, a report could be sought from the CBI or the ED. “Two years back, Singh was promoted from the post of Deputy Director to Joint Director...now he is being considered for Additional Director...,” he submitted. When he sought to indicate that Singh’s appointment as Additional Director was pending the signature of the Finance Secretary on account of the latter being inimical to him, the ASG objected thereto and the bench also reiterated that personal comments may not be made. “We are not interested in any one individual...there must be a clear investigation...but our view is that the one investigating must not have any cloud over them... (‘a cloud should also not be created’, added Dr. Swamy, on which the bench concurred)...,” clarified the bench. On Swamy’s request, it also agreed to mention in the order, pronounced at 2 pm, who signed the status report.